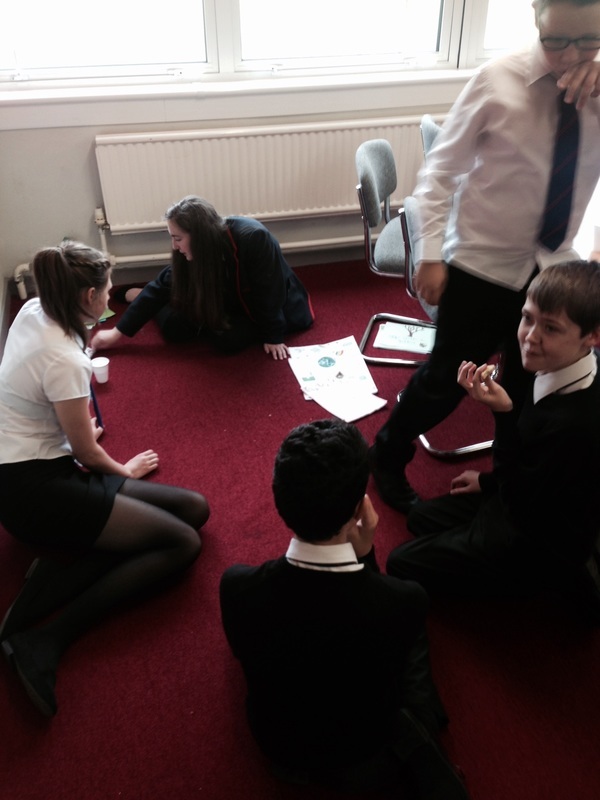 Gryffe is taking part in the Scottish Eco Schools programme - we currently are at Silver Award level. 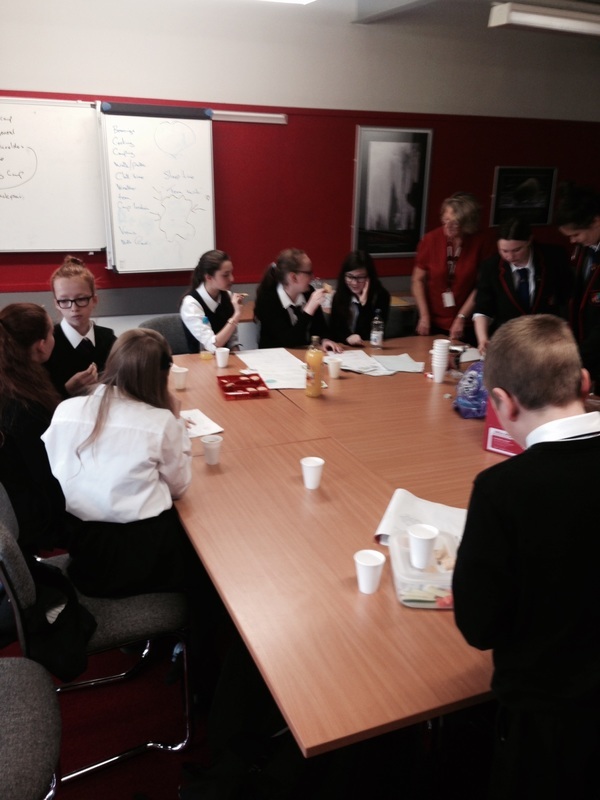 The Gryffe High School Eco Committee meets at least once a fortnight and is working towards keeping the school friendly for the environment and litter-free, whilst also promoting eco-friendly habits. The Eco Committee are always looking for new members, so come along and join the fun and help the school get a Green flag! Look out for new Eco Committee notifications, facts of the week and scheduled meetings in the pupil bulletin. 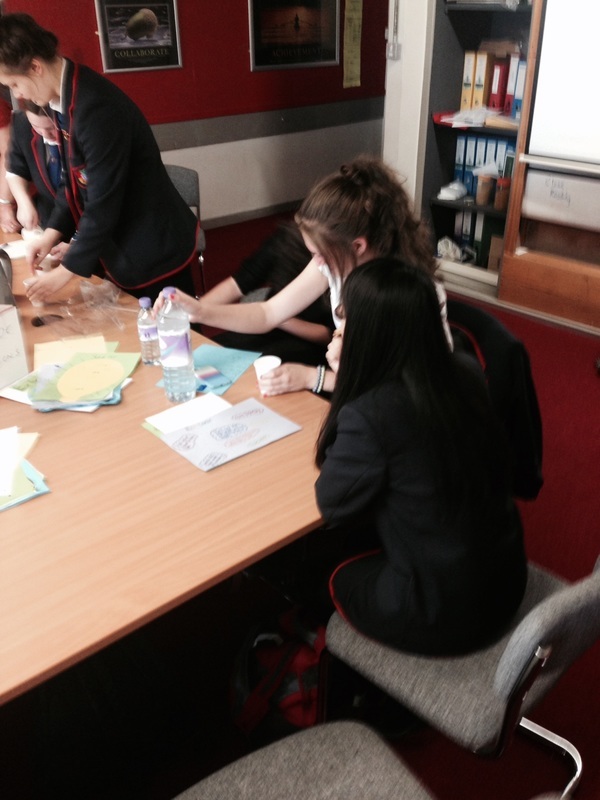 Currently the committee is aiming to help the school achieve a green flag. They are doing this by fulfilling the criteria in the Eco Schools Organisation green flag criteria by taking surveys and using posters, along with other similar activities. We have recently completed an Environmental Review of the school covering the following topics. Below is a snap shot of some sneaky & cheeky wildlife in and around Gryffe High School. Videos kindly provided by the Eco committee's very own Aisling Murray....the next David Attenborough we reckon! We are going to use this Environmental Review to create a whole school plan of action - when completed we will upload to this page. Here are some images of the 2016/17 Eco committee in action, more to follow so keep your eyes on this space! 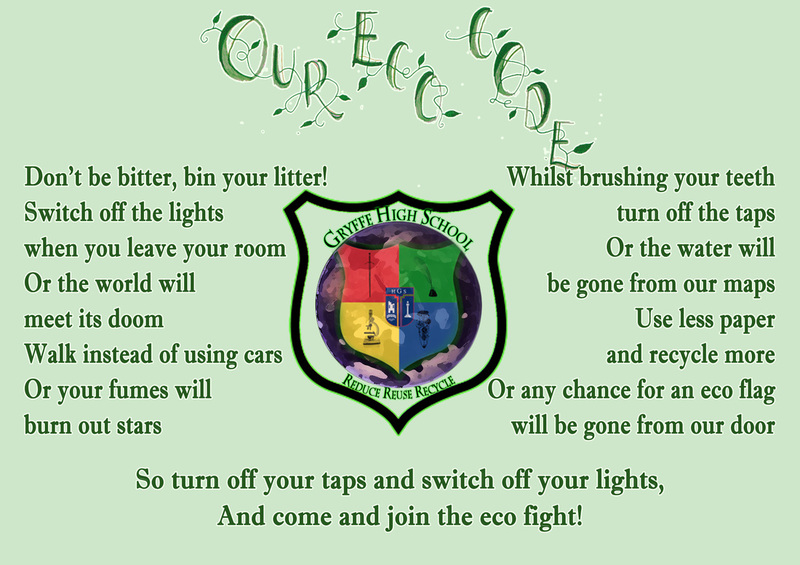 Below is our Gryffe whole school eco code! The Eco committee spent considerable time and effort putting together an Eco code based on the many submissions from Gryffe pupils from all year groups. All pupils had an opportunity to submit an entry and the committee combined what they considered to be the most effective parts of several codes. 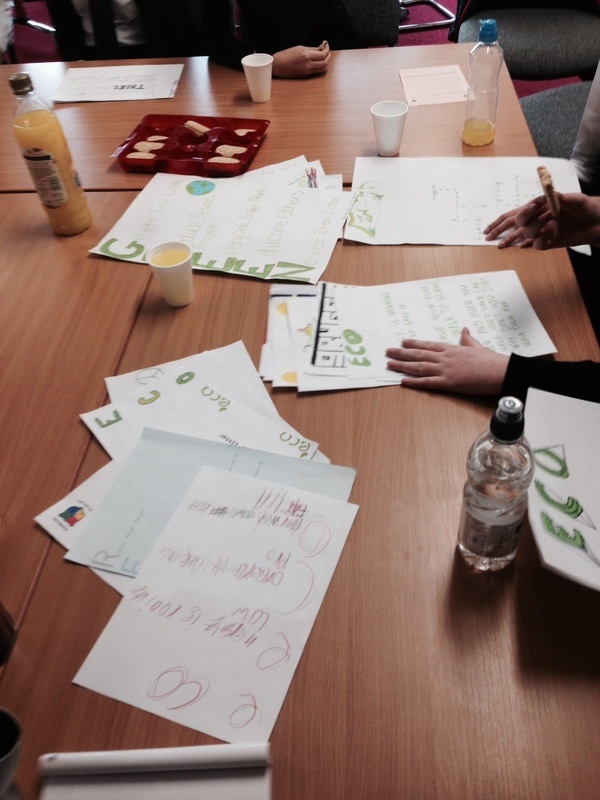 Below are some images of Eco committee members creating the Gryffe Eco code . The Committee had plenty of choice and ideas as all S1 and S2 classes have submitted entries- as you can see in the pictures below we had to work hard and spend a lot of time on choosing the ideas we wanted.